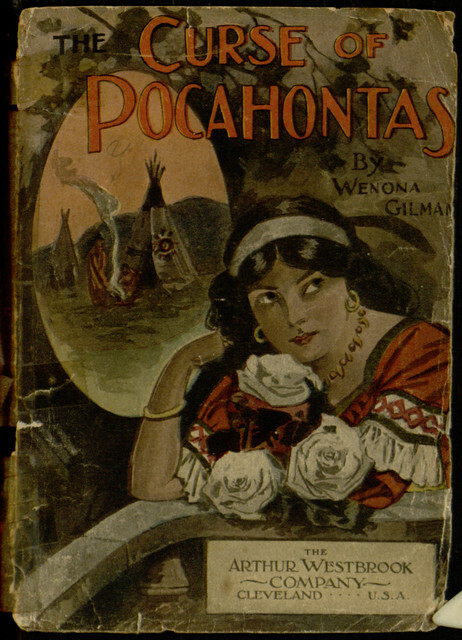 Our latest title to enter the Distributed Proofreaders project for conversion into an eBook is Wenona Gilman’s The Curse of Pocahontas, another story paper melodrama collected in book form. Wenona Gilman was a pseudonym used by Mrs. Florence Blackburn (White) Schoeffel, a contemporary of writers like Mrs. Alex. McVeigh Miller and Mrs. E. Burke Collins. You can participate in the preparation of a new electronic edition of the book; for more details, read this previous post, then join in at the project page.